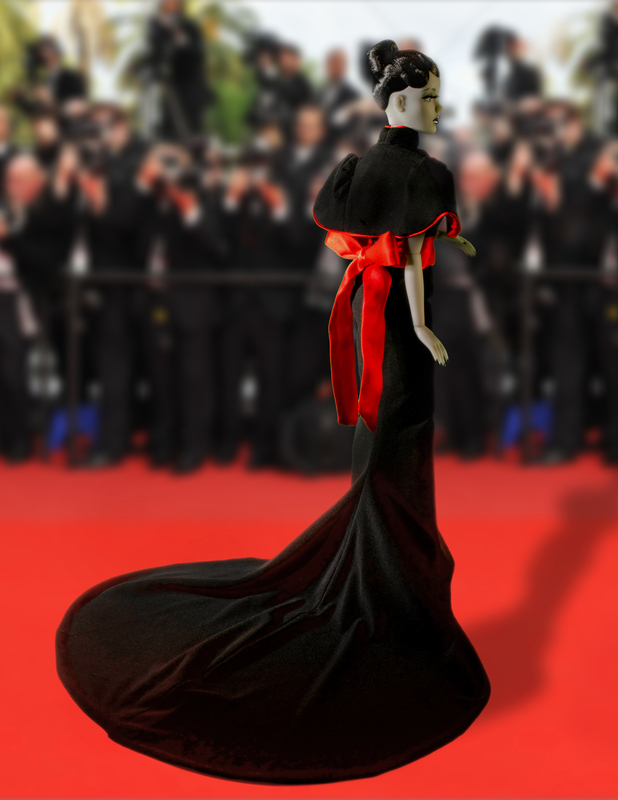 This black gown trimmed in red is regal and commands attention on the runway and at the red carpet. Long train accompanies this regal gown. A removable jacket compliments the dress. 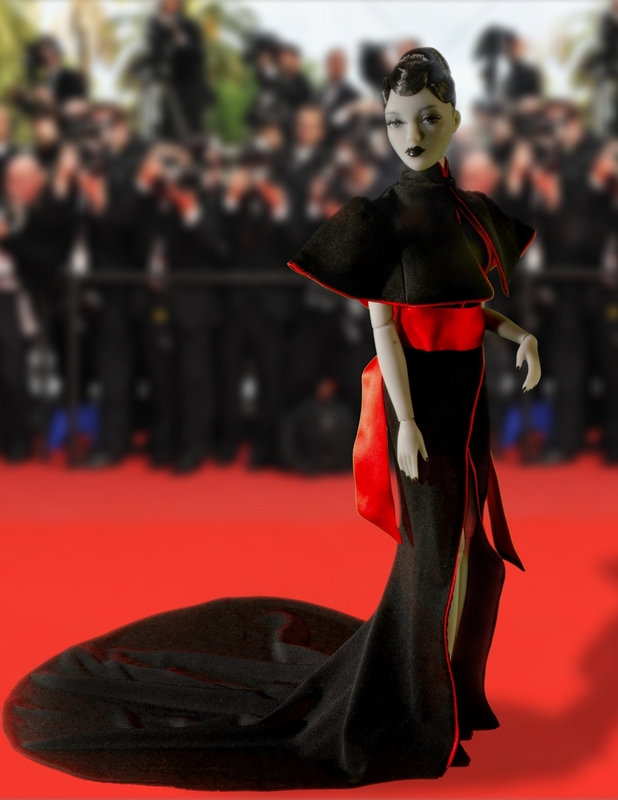 Suitable to be worn by any JAMIEshow Dolls including Gene Collection dolls. Gown is lined to prevent color bleeding.